The Marriott sign glows outside the hotel Saturday, Feb. 4, 2006, in Salt Lake City, file photo. The Marriott and Starwood merger closed Friday morning. The Marriott International brand has become the largest hotel chain in the world, after its $13 billion acquisition of Starwood Hotels and Resorts Worldwide closed on Friday morning. The new deal means changes for how 78 million loyal customers of both Marriott and Starwood will manage their reward programs. Beginning Friday, members of Marriott and Starwood loyalty programs will be able to link their accounts together, The Associated Press reported. Platinum and gold statuses will be interchangeable between the two companies. 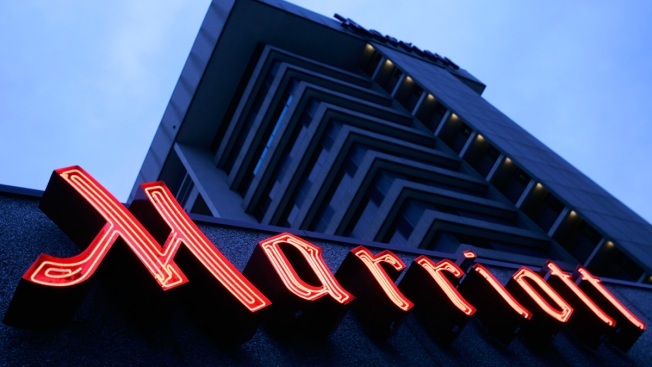 Marriot silver members will be the equivalent of Starwood's lowest category, Preferred Plus. In addition, the merger comes with a 3-to-1 exchange rate that has been deemed equal; every Starwood point is worth three Marriott Rewards points. Points can be used by members for free nights, sporting or entertainment events, shopping on the company’s online mall, among other exclusive experiences. By linking the rewards programs together, members now have a wider variety of locations they can stay in. While the accounts can be linked, the loyalty programs will remain separate for the time being, Marriott CEO Arne Sorenson confirmed to the AP. Marriott has partnerships with Chase and United Airlines, while Starwood has partnerships with American Express, Delta Air Lines and Uber. Marriott plans to keep operating both programs for the next two years until eventually phasing out the Starwood Preferred Guest program. The new company will encompass 30 hotel brands with more than 5,700 properties across more than 110 countries, the AP reported.